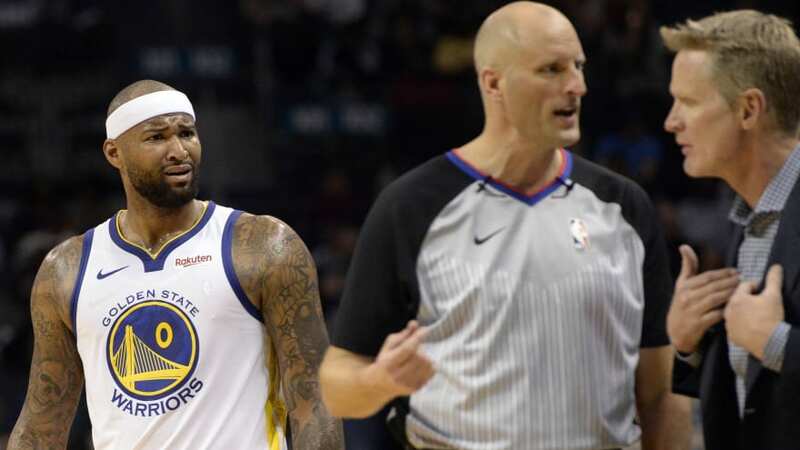 During last year’s summer, DeMarcus Cousins shocked the world when he signed a one-year, $5.3 million deal with the back-to-back Champions, the Golden State Warriors. Well, as expected the Warriors won the West and seem to cruise through the first round of the playoffs once again. But, not necessarily because of Cousins. While the team is too good and able to compensate basically everything, Cousins’ style of play visibly contrasts with the Warriors’ ‘up-tempo, transition three, just shoot’ offense. If we take a look at the advanced stats, you can see that Cousins, who only scored 9 points in game 1, had a plus/minus of -17, even though the Warriors won the game by 17 points. His substitute, Kevon Looney was +29. Ever since coming back from injury, Cousins’ defense has been pretty horrible, too. His coach Steve Kerr, now admitted that his team’s best lineup doesn’t include Boogie. The so called “Hamptons Five” consisting of Stephen Curry, ​Klay Thompson, Andre Iguodala, Kevin Durant, and Draymond Green are the Warriors’ lineup of death and we can expect to see them play together more often in the playoffs, especially in crunch time.